Manchester United have reportedly made Fiorentina a bid of around £53million to seal the transfer of impressive young defender Nikola Milenkovic. Jose Mourinho personally scouted the 21-year-old in action for the Serbian national team this week and was so keen on the player he immediately contacted United and ordered them to make an offer, according to La Nazione, as translated by the Metro. The report states United have now bid £53m for Milenkovic, which would make him the most expensive defender signing in the Red Devils’ history if it were to go through. That record currently stands at the £31m United paid for Victor Lindelof in 2017, going by the club’s highest fees paid in the transfer section of their records on Wikipedia. Going from that list, Milenkovic would also be the fourth most expensive signing by United in any position, behind only Paul Pogba, Romelu Lukaku and Angel Di Maria. That’s quite a statement by United if they can get this deal done at that price, with Milenkovic clearly really making an impression so far in his career. The youngster has only played 24 Serie A matches so far, but certainly looks one of the most promising up-and-coming talents in Europe in his position, which is also one MUFC urgently need to improve in anyway. 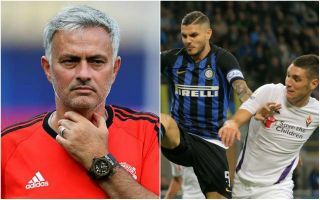 As noted by the Metro, Mourinho’s side were linked with the likes of Toby Alderweireld in the summer but failed to bring a new centre-back in, so one imagines that will be an area they look at again in the near future.